The hedge fund billionaires active in the Puerto Rican debt crisis are the same characters pushing austerity and privatization in New York and across America. They are fueling inequality by demanding low taxes on wealthy investors, higher taxes on working people, lower wages, harsh service cuts and privatization of public schools.  Hedge Clippers provides this “scorecard” of 13 hedge funds and top billionaire hedge fund managers active in the Puerto Rican debt crisis to help the public understand exactly how hedge funds are hurting Puerto Rico, New York and America in their effort to extract massive profits from human misery. A debt crisis has been unfolding in Puerto Rico for several years, as high levels of borrowing and a declining economy have made it impossible for the island to manage its debt. The island’s government, much like that of Greece, is caught between the needs of its electorate and the demands of creditors – powerful lenders seeking payments who will ultimately push for punishing structural reforms and austerity. 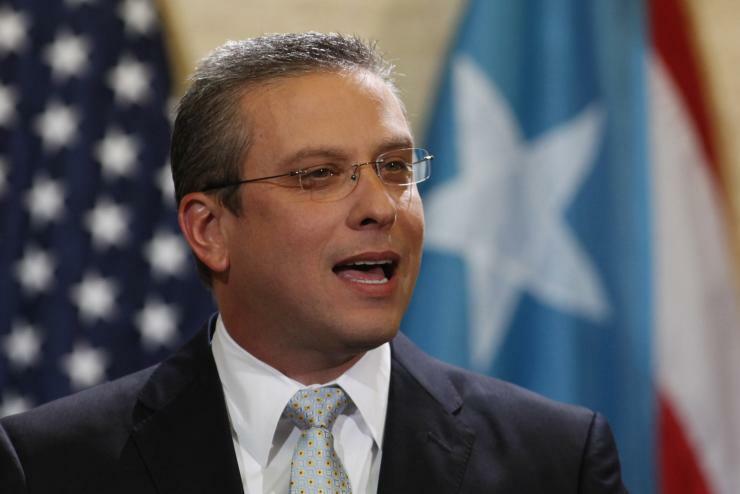 The crisis reached a new tipping point last week, when Governor Alejandro García Padilla announced that the debts were “not payable,” signaling that a default was in the offing. Hedge fund creditors, and they responded by “preparing for battle against the island territory,” according to Bloomberg. Hedge funds and billionaire hedge fund managers have played a major role in the crisis. Several groups of hedge funds have bought up large chunks of Puerto Rican debt at discounts and have also pushed the island to borrow at extremely favorable terms for creditors. Hedge fund managers are also recommending the implementation of austerity measures. This report identifies some of the key players in Puerto Rico – hedge fund billionaires who are driving Puerto Rico into an intensifying economic crisis that will only get worse if the island gives in to their demands. The hedge fund managers pushing austerity on Puerto Rico are the same hedge fund managers pushing austerity elsewhere – in New York, and throughout the US. They spend heavily in order to promote policies that drive inequality and wealth concentration – low tax rates for the wealthy and for big business, budget cuts for everyone else, privatization schemes that turn public assets into hedge fund profits. And then they reinvest a portion of the profits with the same individuals and institutions that helped them implement their chosen agenda, from politicians and lawyers to advocacy groups and think tanks. The cycle goes around again. All told, hedge funds hold an extraordinary amount of Puerto Rico’s debt – a Fitch analysis from last year 60 hedge funds hold roughly $16 billion of the island’s public debt, or 24% of the total of $65 billion. This figure is out of date and likely understates the amount of Puerto Rico’s debt that hedge funds own. In June 2015, Fortune reported that hedge funds may hold nearly 50% of Puerto Rico’s debt, but did not give a source for this estimate. This gives hedge funds a much larger stake in Puerto Rico’s debt than what would typically be found in a municipal debt pool. Though there is a significant lack of transparency in financial markets when it comes to debt trades like that involving Puerto Rico, it is possible to identify some of the hedge funds involved based on press reports, bond sale data, court documents, and creditor agreements. In Argentina, for instance, a vulture fund owned by Paul Singer is in line for an estimated 1380% return on its initial investment. All told, Singer expects a $1.4 billion payment from Argentina on debt his funds bought for pennies on the dollar. One of the key firms involved in that trade, Mark Brodsky’s Aurelius Capital, is also active in Puerto Rico. Press reports suggest that hedge funds are expecting similarly high levels of profit from Puerto Rico’s debt – profits that could run into the billions, given that hedge funds own $16 billion in bonds. One hedge fund manager, Jeffrey Gundlach of DoubleLine Capital, recently called Puerto Rico’s debt his “best idea” for an investment. Hedge fund manager John Paulson has called Puerto Rico the Singapore of the Caribbean. Two major hedge fund groups have formed, essentially pooling their assets to exert extraordinary power over the island – even as many members remain anonymous and unnamed. One, the Ad Hoc Group, reportedly represents 35 investors with $4.5 billion worth of tax-free bonds, or roughly ten percent of the total. Another, the PREPA ad hoc group, represents Puerto Rico Electric Power Authority (PREPA) bondholders, and has entered into various agreements with PREPA. Both are referred to in the press as Ad Hoc Groups, but in this case for the sake of clarity we refer to the first group as the Ad Hoc Group, and the second as the PREPA Group. The Ad Hoc Group is led by a steering committee of hedge fund managers who have been named in the press, but dozens of its members remain anonymous, and there are likely major members who have chosen to remain silent and unnamed in the press so far. The members of the PREPA Group have been named in agreements with the authority. Initially, the Ad Hoc Group pursued a more accommodating, advisory role – suggesting, for instance, that the island’s government may have missed out on $1 billion in federal grants. As the debt crisis has intensified, and the threat of a debt restructuring loomed, the hedge funds have taken a more aggressive stance. For one, the Ad Hoc Group has pushed Puerto Rico to take on more debt at extremely generous terms for creditors. In April 2015, they proposed backstopping the island’s proposed $3 billion debt issuance, but only if it was made “bulletproof” in a way that protected creditor interests. They requested “acceleration rights,” for instance, which would mean that the entire amount would be due if the government defaulted. They also proposed requiring the government to hold proceeds from the debt in escrow in case proposed tax reform was not enacted in advance of the issuance – essentially using their participation in the debt deal as leverage for securing austerity measures. They have also been threatening legal action in the event of a restructuring. 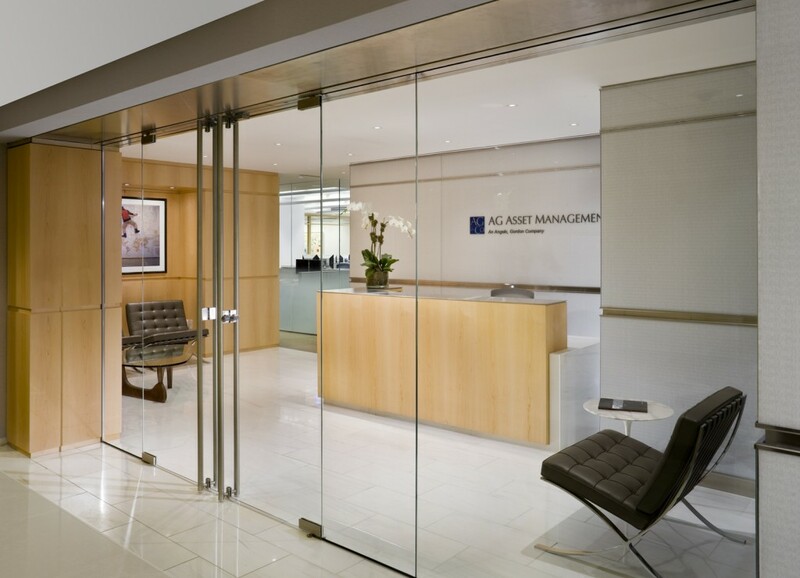 The Ad Hoc Group hired a law firm, Robbins, Russell, Englert, Orseck, Untereiner & Sauber, which argued a successful case before the reme Court that required Argentina to pay its hedge fund creditors. The PREPA Group adopted a more litigious strategy early on, when it filed a successful suit in response to the passage of the Puerto Rico Public Corporation Debt Enforcement and Recovery Act (PCDERA), a law that would allow public corporations such as PREPA to restructure their debt, giving Puerto Rico more influence in negotiations with creditors. 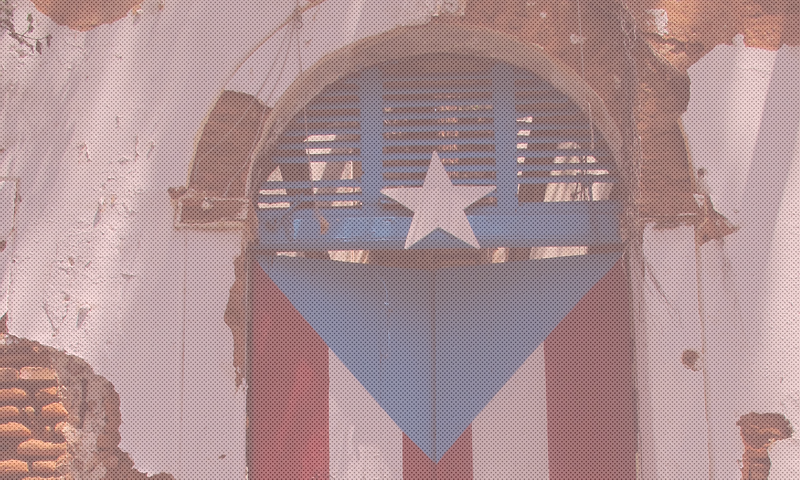 If the Puerto Rican crisis plays out similarly to other crises, they want to ensure that the government chooses the path of austerity policies that reward billionaire creditors and force the Puerto Rican people to pick up the tab. In return for their participation in the proposed $3 billion bond issuance, for instance, they want the island to implement a five-year plan to close its deficit. Other proposals that hedge fund creditors are clamoring for appear in a recent government-commissioned report by a former IMF official. The report specifically recommends structural reforms that include spending cuts, labor cost cuts through cuts to the minimum wage and labor law reforms, and removing other “obstacles to the ease of doing business.” (It also recommends debt restructuring, something the hedge funds are less eager to see). At the same time, many hedge funds are moving to Puerto Rico to take advantage of low tax rates. Eager to make Puerto Ricans pay into their profit stream, they are taking to the island specifically in order to avoid taxes. The ‘Triple Tax Exempt Status’ of the island’s debt is also a selling point – this provides the tax-exempt treatment usually conferred to local investors in tax-exempt municipal debt to all investors in Puerto Rican municipal debt, regardless of their location. Though different hedge funds are pursuing somewhat different strategies, the overarching goal is the same: push Puerto Rico to the brink, promote austerity measures that put creditor interests above human needs, and extract massive profits, even as the island spirals into further economic hardship. Press reports have identified dozens of hedge funds involved in the Puerto Rico debt trade. Below is a selection of some of the more high-profile hedge funds involved in either of the major ad hoc groups, or reported to be involved in the Puerto Rico debt trade in some other capacity. Special attention was given to hedge funds that have been particularly aggressive in Puerto Rico – taking legal action, for instance, or believed to be in the lead of an ad hoc group; hedge funds that have been involved in other vulture trades, like Greece and Argentina; and hedge funds that have been especially politically and philanthropically active in promoting austerity and privatization efforts in New York State and in the US. This list may be expanded in the coming weeks. Vulture activity in Puerto Rico: BlueMountain Capital Management, which owns $400 million in PREPA bonds and is a member of the PREPA bondholder group,  has played a prominent and aggressive role in extracting profit from the Puerto Rican crisis. BlueMountain filed a pivotal lawsuit against PCDERA (see above) which eventually struck down the law that would have allowed restructuring and empowered Puerto Ricans in negotiations with creditors. The firm hired former Solicitor General Theodore Olson, one of the country’s most powerful attorneys, to make its case. The suit was successful and the law was blocked. BlueMountain has also hired more Washington lobbyists to fight the Puerto Rico Chapter 9 Uniformity Act of 2015 than any other hedge fund, spending $100,000 on eight lobbyists from three firms in the first quarter of 2015. The federal legislation would make public entities in Puerto Rico eligible for bankruptcy protection. Prior to 2015, the hedge fund had never reported lobbying at the federal level. Its lobbyists include a former member of Congress, Connie Mack IV, and former staffers to the House Financial Services Committee and Senate Banking committee. As a member of Congress, one of Mack’s top donors was Paul Singer’s vulture fund, Elliott Management. In 2013, shortly before he left Congress, Mack pushed a bill that would have forced Argentina to pay vulture funds like Singer’s – barring them from US capital markets in the event of a default. He is also a lobbyist for American Task Force Argentina, the lobbying group for Singer and the hedge fund vultures around Argentine debt. Austerity politics: BlueMountain cultivates the power to push its agenda through prolific political and charitable giving – and by making some strategic investments. BlueMountain is a major investor in Alliance Partners, for instance, a financial firm run by a former Obama Treasury official, Lee Sachs, and advised by the likes of Donald Kohn, a former Federal Reserve board member, and Larry Summers, the former Treasury Secretary and Obama administration official. Summers recently called Puerto Rico’s debt “the junkiest of the junk.” BlueMountain also recently hired Jeremy Stein, a former Federal Reserve board member, as an advisor. BlueMountain’s CEO, Andrew Feldstein, sits on the board of Third Way, a Wall Street-funded think tank that promotes spending cuts and other austerity policies. Feldstein is a major donor to New York State Governor Andrew Cuomo, a major advocate of hedge fund-friendly spending and tax cuts, having given him $31,000. In 2014, he gave the Democratic Senatorial Campaign Committee $32,400. Feldstein also sits on a board of Success Academy, the charter school network pushing education privatization in New York City, and another executive, Jes Staley, sits on the board of the Robin Hood Foundation. Vulture activity in Puerto Rico: Stone Lion Capital Partners is a $1.5 billion distressed debt hedge fund which was spun off from Paul Tudor Jones’ hedge fund, Tudor Investment, and which still counts Tudor as a major partner. Stone Lion raised $500 million to invest in Puerto Rico and is now a member of the Ad Hoc Group. Stone Lion has taken an aggressive approach to ensuring its investment pays off, asking Puerto Rican officials on a public webcast if they would agree to litigation based in New York, where courts are more likely to side with investor interests. Notably, Stone Lion announced it was considering opening an office in Puerto Rico to take advantage of tax incentives that would reduce its corporate tax rate to 4%. Other vulture activity: Stone Lion bought tens of millions of dollars of Jefferson County debt after it declared bankruptcy, and also took a significant interest in Detroit’s debt prior to its bankruptcy. Billionaire wealth: Stone Lion was co-founded by two former Tudor Investment traders, Gregory Hanley and Alan Mintz. Though the duo keeps a low profile, their major partner at Stone Lion, Paul Tudor Jones, is one of the highest profile hedge fund managers in the country. Jones is worth $4.6 billion, according to Forbes. Austerity politics: In a recent speech in which he raised concerns about inequality, Jones said that higher taxes weren’t on his “bucket list,” and that instead he wanted to see businesses comply with voluntary ethical standards. Jones’ firm is a major force behind the Managed Funds Association, a hedge fund lobby which fights regulation and taxes that would hurt hedge fund profits. Jones promotes austerity policies by giving millions to politicians, including Andrew Cuomo and New Yorkers for a Balanced Albany, a Cuomo-aligned hedge fund PAC that helped maintain a Republican Senate in New York to block progressive policies that would tax the wealthy in order to fund public services. Jones is also founder of the Robin Hood Foundation, a hedge fund-heavy charity that fights poverty through what it calls “relentless monetization” and a major advocate for charter schools and education privatization (through Students First New York and a charter school chain he founded, Uncommon Schools). Vulture activity in Puerto Rico: Hedge fund manager John Paulson, of the $19 billion Paulson & Co, has gone big on Puerto Rico. He has purchased $120 million in bonds and is also the largest investor in Popular, the territory’s largest banking concern. Furthermore, he is leading the move to the island by hedge fund managers ready to take advantage of the tax haven created by the Puerto Rican government in 2012. 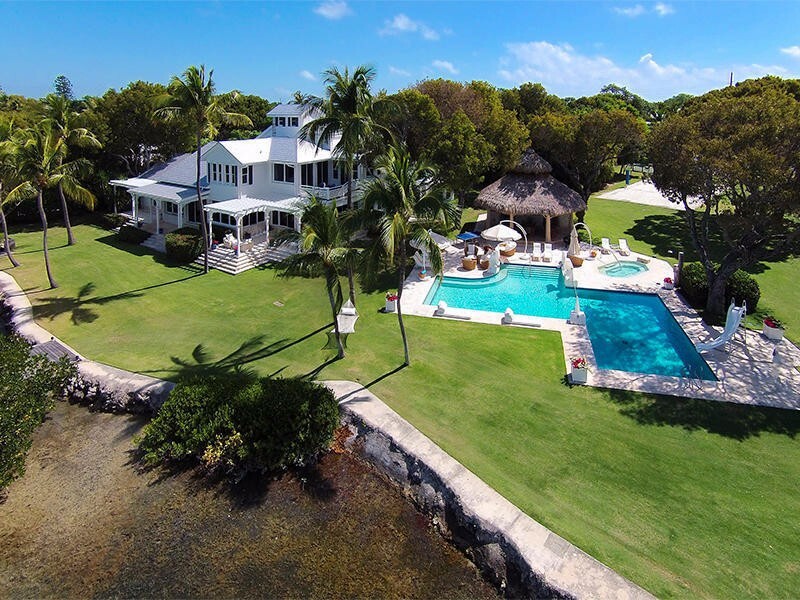 Paulson has even considered moving to the island and has already purchased $1 billion in beachfront property and resorts – apparently part of his “distressed” real estate portfolio. Other vulture activity: Paulson has been a major player in Greece, most notably buying up large stakes in its banks. 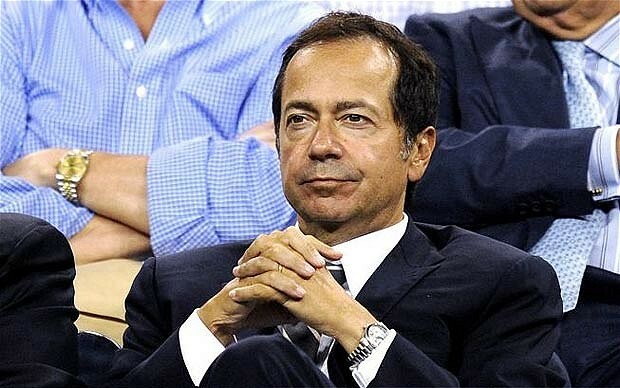 Billionaire wealth: Paulson is worth $11.2 billion. He is known for betting $15 billion against U.S. mortgages during the 2008 financial crisis, making $3-$4 billion personally. Austerity politics: Paulson reinvests his fortune in politicians who push for low taxes and spending cuts, including Mitt Romney and Andrew Cuomo. His firm is a member of the Partnership for New York City, a big business group that promotes austerity policies in New York. Vulture Activity in Puerto Rico: Dan Loeb’s Third Point has been a major investor in Puerto Rico debt, but has not played a prominent role in negotiations with the government. In 2014, he was reported to have lost money on his Puerto Rico bond holdings. He may be one of the dozens of members of the Ad Hoc Group who have not yet been named – if so, we encourage him to step out of the shadows. Loeb, who once likened himself to Rambo mowing down companies in which he had invested, would likely be a liability to the group’s efforts, given his inclination towards heated rhetoric and past proclivities (2007) for late night crank phone calls. See our report on Loeb for some highlights. Other vulture activity: Loeb made $500 million on a bet on Greek debt in 2012; last year he reportedly sold off his position following the election of Prime Minister Alexis Tsipras. He has also been active in Argentina, renewing his bet on government debt after vulture funds won their court case against the government. 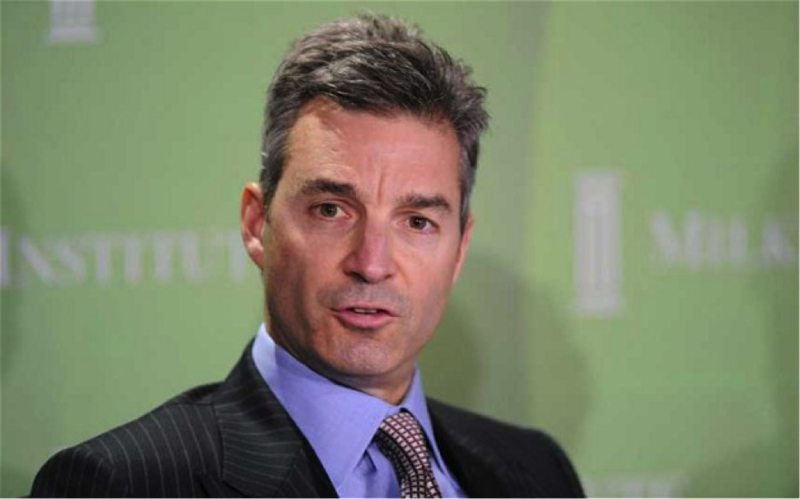 Billionaire wealth: Loeb is worth $2.5 billion, according to Forbes. Austerity politics: Loeb is a major funder of pro-austerity politicians and think tanks. He is a member of the American Enterprise Institute national council and a trustee of the Manhattan Institute, both of which consistently advocate deep spending cuts and tax cuts. He was a trustee of Third Way, a Wall Street-backed think tank advocating austerity policies, but left when he perceived that the think tank was unfairly characterizing then-Vice Presidential nominee Paul Ryan. He also gives heavily to education privatization efforts, particularly Success Academy and Students First New York. 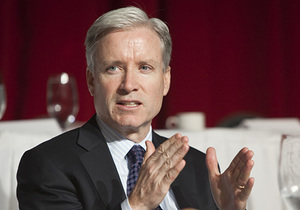 Like Gallogly and Paulson, his firm is a member of the Partnership for New York City. Loeb is playing a key role in the hedge fund industry’s attempt to take over New York State government – and ensure that their profits are never taxed at fair rates – including a donation of over $1 million to the New Yorkers for a Balanced Albany PAC in 2014. In July 2015 he is hosting a Hamptons fundraiser for New York Governor Andrew Cuomo, who has already taken $97,687 from Loeb and his wife. Activity in Puerto Rico: Centerbridge Partners is a private equity firm that specializes in distressed debt. It sits on the steering committee of the Ad Hoc Group, which collectively owns about $4.5 billion of Puerto Rico’s debt and uses that leverage to pressure the Puerto Rican government to negotiate terms that shield the funds from risk, even if the country defaults. Austerity politics: Centerbridge is led by Mark Gallogly, a powerful donor associated with austerity and privatization efforts in the US. He is also an advisory board member of the Hamilton Project, a Wall Street-backed think tank that promotes austerity policies. He also sits on the board of the ROADS charter network. Vulture activity in Puerto Rico: David Tepper’s Appaloosa Management was initially a member of the PREPA Group. It appears to have dropped out of the group as of the most recent forbearance agreement with PREPA in April 2015, though this does not necessarily mean that it sold its holdings. It was also reportedly a buyer in Puerto Rico’s largest-ever bond sale in March 2014. Other vulture activity: Tepper reportedly profited from buying Greek debt in 2012. 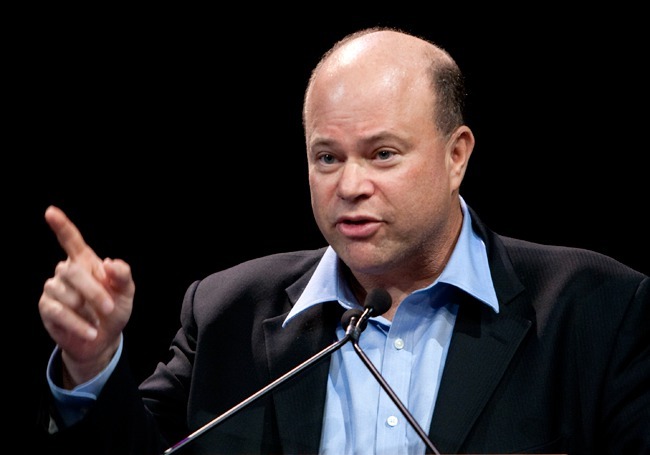 Billionaire wealth: Tepper is worth a staggering $10.4 billion, according to Forbes. His wealth increased nearly 500% since the 2008 financial crisis – fueled in large part by a massive bet on the 2008 financial collapse. Austerity politics: Tepper reinvests his savings in political and charitable efforts that promote the austerity and privatization agenda. He stepped out as a major donor to Republican politicians in 2012, most notably donating hundreds of thousands of dollars to Mitt Romney’s failed presidential bid. Vulture activity in Puerto Rico: Aurelius has not been reported to be among the members of the Ad Hoc Group in Puerto Rico, but has been reported, along with Apollo Global Management and Fortress Investment Group, to be looking to take a more activist approach. Other vulture activity: $4 billion vulture firm Aurelius Capital has plenty of experience in squeezing predatory returns out of distressed foreign governments. Aurelius was involved in aggressively pursuing Argentina’s debt settlements after purchasing bonds at incredibly low rates. The law firm hired by the Argentina vultures was retained to represent the Ad Hoc Group in Puerto Rico. Aurelius is led by Mark Brodsky, nicknamed “The Terminator” for his cold-blooded tactics. 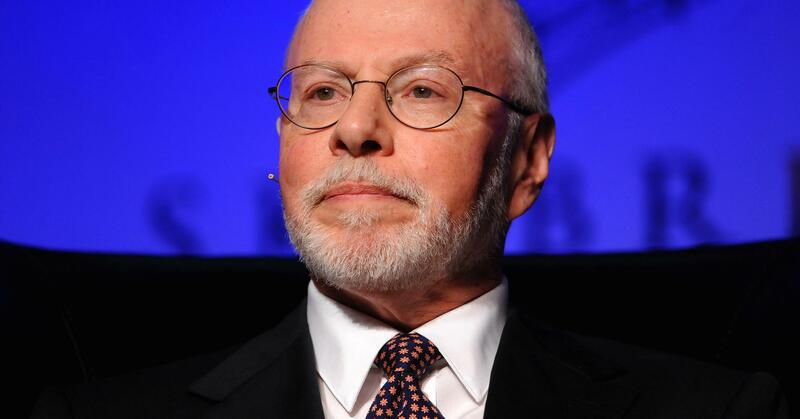 Brodsky cut his teeth at Paul Singer’s firm, Elliott Capital Management (another vulture that circled Argentina), where he was involved in purchasing debt from the Republic of Congo-Brazzaville. He then sued the Congolese government for full repayment. Austerity politics: Brodsky is eager to squeeze money out of governments, but not so eager to actually pay his taxes – he purchased an apartment at One57, the luxury development in Manhattan that is a notorious homegrown tax haven for the mega-rich. He is also a major political donor, particularly to the Republican Party. Vulture activity in Puerto Rico: Fortress Investment Group was reported to be “looking to take a more activist role” in Puerto Rico, though it has not yet been named as a member of the Ad Hoc Group. In June 2015, the hedge fund announced a new joint venture with another firm, Parkfield Capital Advisors, to provide financing to companies in Puerto Rico that were having difficulties accessing capital markets due to “economic turmoil” there. Other vulture activity: Novogratz characterizes the countries Fortress invests in as “so bad, they’re good.” He saw Argentina’s default in 2014 as a buying opportunity. Fortress has also piled into Greek debt in recent years, including the debt of a major Greek ferry operator in 2014. 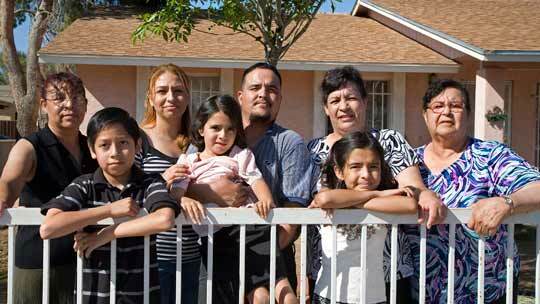 Fortress recently led a Wall Street “gold rush” focused on buying personal property tax liens, essentially profiting off of the struggles of homeowners still reeling from the effects of the financial crisis. Austerity politics: Fortress executives Randal Nardone, Wesley Edens, Michael Novogratz, and Peter Briger have collectively donated $98,000 to Andrew Cuomo. Novogratz is a trustee of Third Way, the Wall Street-backed pro-austerity think tank, and he is a former advisory board member to Democrats for Education Reform, a pro-charter political fundraising committee. Vulture activity in Puerto Rico: Apollo Global Management, the third largest US-based private equity firm, has not yet been reported to be a member of the Ad Hoc Group looking to collectively pressure the Puerto Rican government, but press reports have indicated that Apollo, along with Fortress Investment Group and Aurelius Capital, are looking to take on a “more activist role” as the debt restructuring continues. 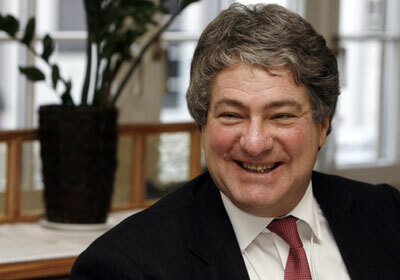 Billionaire wealth: Apollo co-founder Leon Black is worth $5.1 billion. He was a member of the CEO fiscal leadership council at pro-austerity group Fix the Debt. Of the corporate tax cut-loving CEOs backing Fix the Debt, Black reaped the highest windfall from Bush-era tax cuts, saving almost $10 million in 2011. 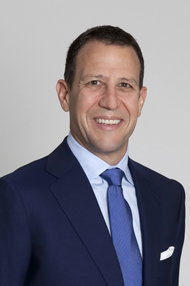 His firm is a member of the Partnership for New York City. Black worked at Drexel through the 80s, ultimately moving on when the firm folded following a securities-fraud scandal. He is a major political donor, splitting his contributions between Republicans and Democrats. 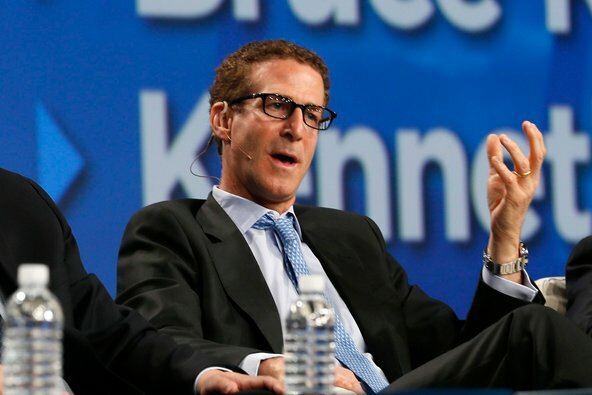 Perry Capital is an $11 billion hedge fund run by Richard Perry. Perry Capital is on the steering committee of the Ad Hoc Group. Other vulture activity: Perry Capital was among the vultures circling Greece – and buying up Greek debt – in 2015, betting that a deal would be reached. 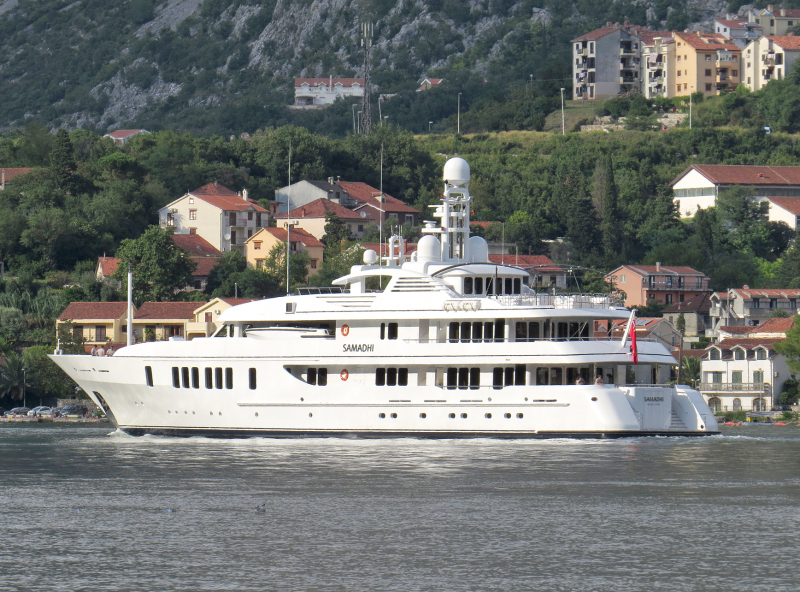 It also reportedly profited from Greek trades in 2013. Perry Capital also held restructured Argentina debt as of 2014, and was part of a creditor group asking a judge to lift an order to allow an agreement to be reached before default. 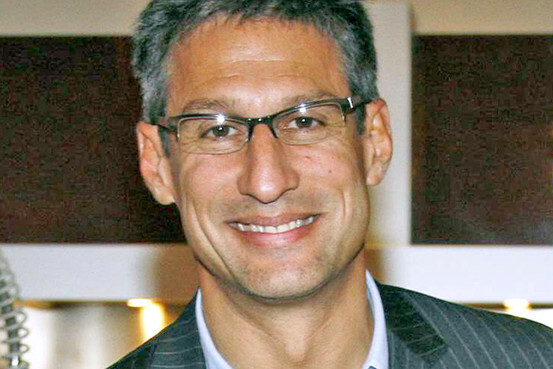 Billionaire wealth: Richard Perry was listed on the Forbes 400 in 2008, with personal wealth of $1.2 billion, but has since fallen off the list. Austerity politics: He serves on the advisory council of The Hamilton Project, a Wall Street-backed think tank that promotes austerity policies. He and his wife are also major Democratic donors. Vulture activity in Puerto Rico: Fir Tree Partners has been out front in the Puerto Rico debt trade, named as a member of the Ad Hoc Group and believed to be leading that group. Fir Tree’s principal, Jeffrey Tannenbaum, otherwise tends to keep a low profile. Other vulture activity: Fir Tree bought up Argentina bonds after a US court blocked Argentina from making bond payments before settling with holdout creditors, then closed its fund last year after recording annualized 20% returns. It was also active in purchasing Greek debt and investment stakes in Greek companies in recent years. Vulture activity in Puerto Rico: A member of the PREPA bondholder group, Marathon Asset Management was among funds that presented PREPA with a $2 billion restructuring plan. The restructuring officer in charge of PREPA testified against the bondholders’ plan, calling it full of “aggressive assumptions.” Marathon, along with several other hedge funds, has hired lobbyists to fight the Puerto Rico Chapter 9 Uniformity Act of 2015 in Washington (see BlueMountain Capital Management for explanation). 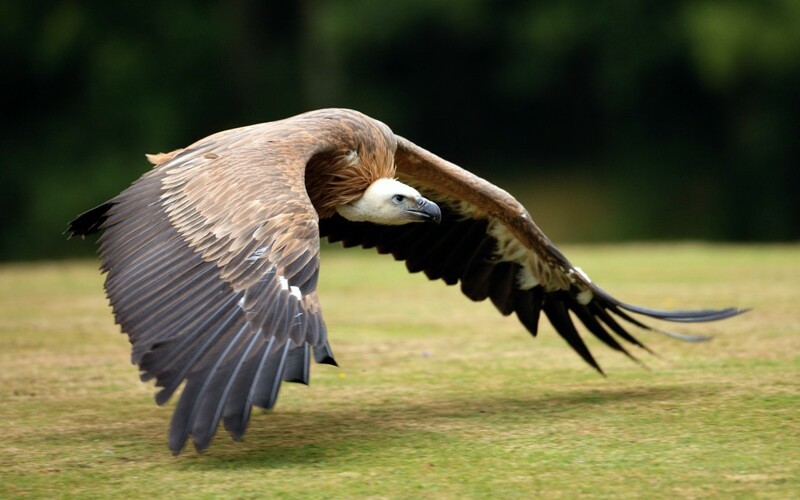 Other vulture activity: Marathon has been a major investor in Greek debt, at one point joining with other hedge funds to attempt to block a rescue package, and in early July 2015 told an interviewer that Greek prime minister Alexis Tsipras would fall within a month. Vulture activity in Puerto Rico: Angelo Gordon, the private investment firm, which boasts more $38 billion in regulatory assets under management, is making a big bet on Puerto Rico. It is a member of the PREPA creditor group. The hedge fund has been lobbying to prevent Puerto Rico from bankruptcy reforms that would block vulture funds like Angelo Gordon from preying on the likes of PREPA. By hiring powerful lobbyists in Washington, DC, Angelo, Gordon & Co. have lobbied to prevent the passage of the Puerto Rico Chapter 9 Uniformity Act of 2015. Austerity politics: Over the past two cycles alone, the hedge fund and its affiliates have contributed $228,100 to the RNC, NRCC, and NRSC, as Republicans have blocked progressive reforms in Congress and caused a government shutdown. Until recently, Angelo Gordon employed Mary Pat Christie, the wife of presidential candidate Chris Christie – a major advocate of Wall Street-friendly austerity policies. “Big Changes for Puerto Rico Bond Market,” Fitch Ratings, August 13, 2014.